IPD researchers report the computational design of a new world of small cyclic peptides, or “macrocycles”. 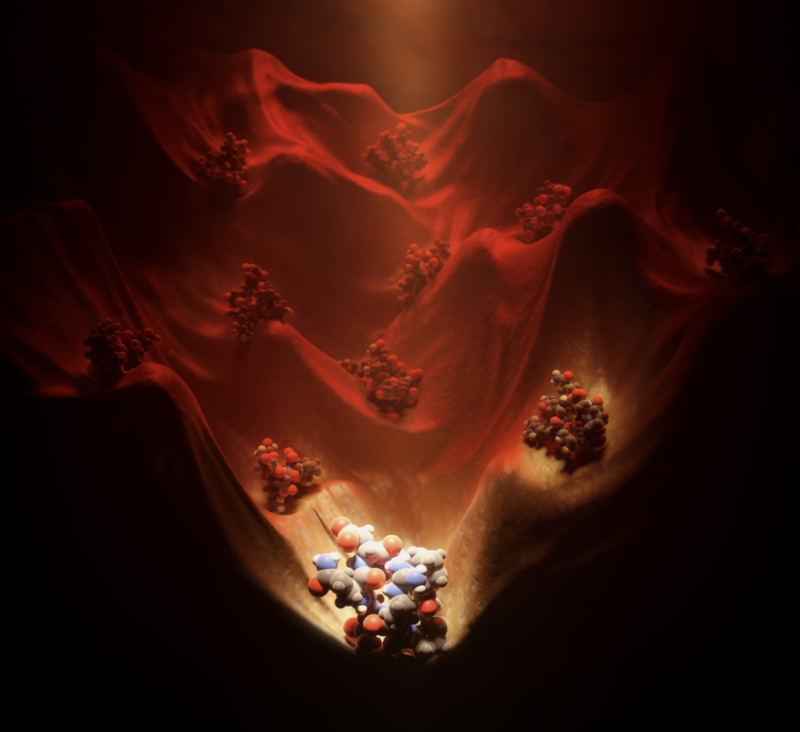 Natural macrocycles such as cyclosporine are among the most potent therapeutics identified to date, having the benefits of small molecule drugs, like aspirin, and large antibody therapies, like rituximab, with fewer drawbacks. There is considerable interest in expanding this promising drug category, but nature offers few reliable starting points for drug development. To make the design challenge worse, peptide macrocycles lack regular secondary structures and hydrophobic cores. 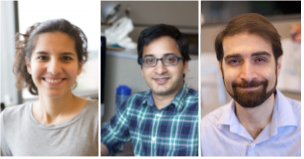 In their report, lead authors Parisa Hosseinzadeh, Gaurav Bhardwaj, and Vikram Mulligan enumerate the stable structures that can be adopted by macrocyclic peptides by near-exhaustive backbone sampling (via a generalized kinematic closure algorithm) followed by sequence design and energy landscape calculations. The team identified more than 200 designs predicted to fold into single stable structures and experimentally confirmed the structures of several. This pioneering work vastly increases the available starting scaffolds for both rational drug design and library selection methods. The work was supported by awards from the National Institutes of Health, the Washington Research Foundation, the American Cancer Society, a Pew Latin-American fellowship, and the Howard Hughes Medical Institute. Facilities sponsored by the U.S. Department of Energy also were used. Other researchers on the project were Matthew D. Shortridge, Timothy W. Craven, Fatima Pardo-Avila, Stephen A. Rettie, David E. Kim, Daniel-Adriano Silva, Yehi M. Ibrahim, Ian L.Webb, John R. Cort, Joshua N. Adkins and Gabriele Varani.